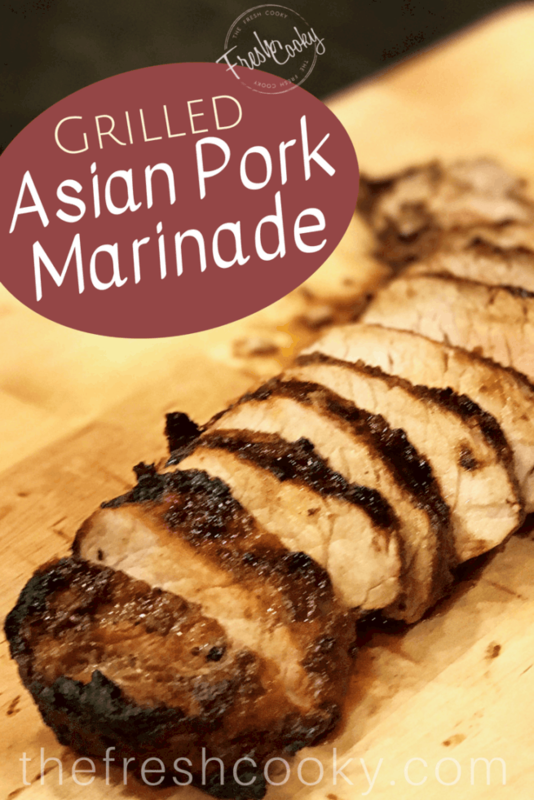 A delicious, simple, Asian inspired pork marinade. 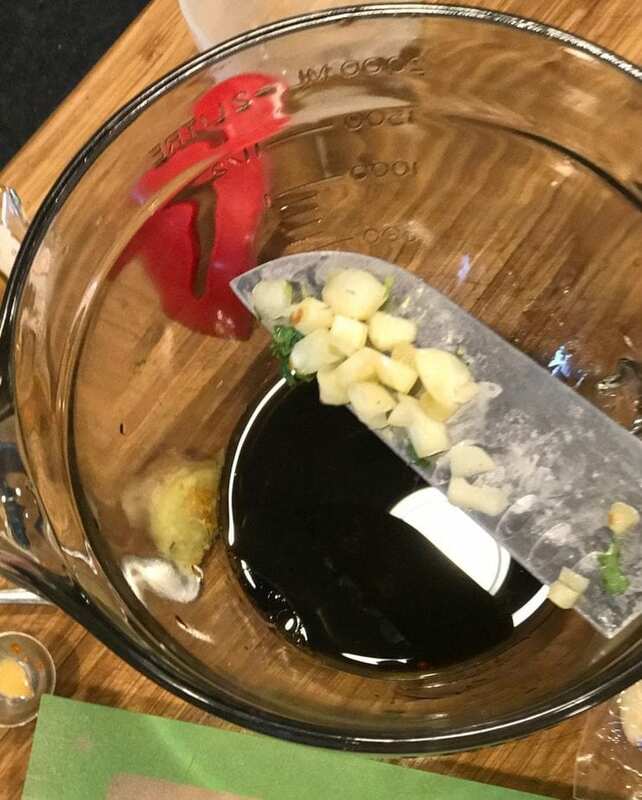 This Asian Pork marinade imparts wonderful soy, ginger and garlic flavors and is so quick and easy to mix up. 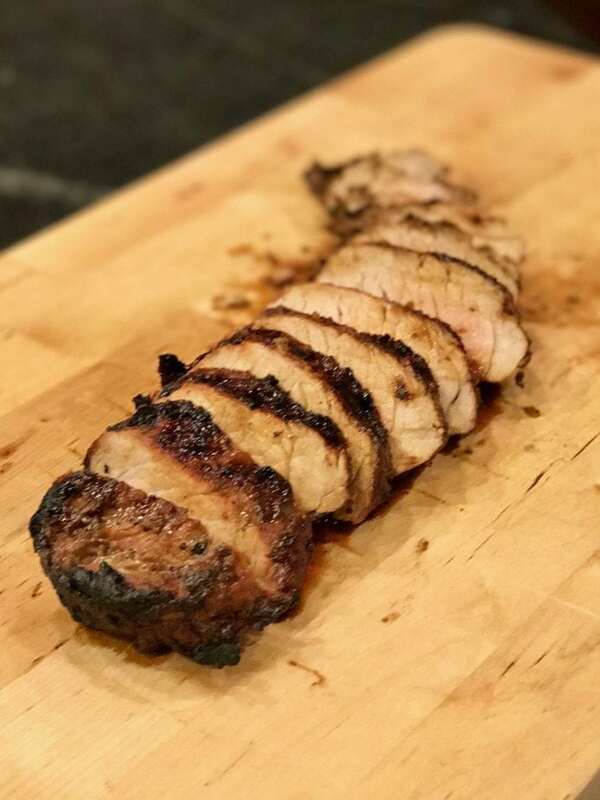 I had this first when visiting my in-laws back in Maine a few years back, my mother-in-law cuts her pork into beefy(or would you call it pork-y) cubes. I’ve made it into a freezer meal, as I’ve found that it’s so easy to pull something frozen from the freezer and as it thaws, the meat marinates. Easy-peasy. 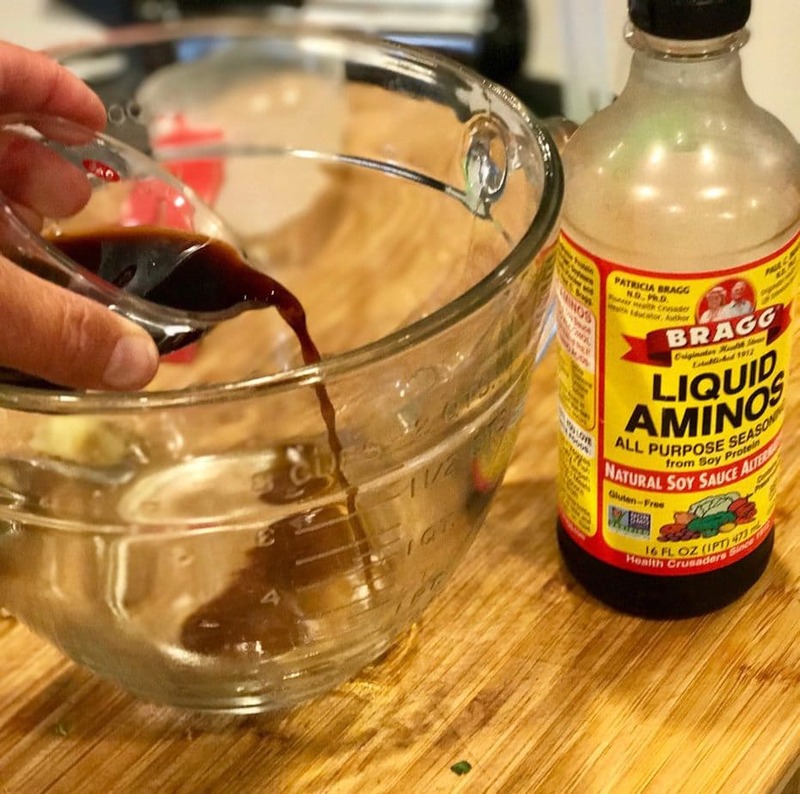 Start with your 3 Tablespoons of soy sauce; any kind may be used, GF, Tamari, even Bragg’s Liquid Amino’s a soy sauce alternative, my personal favorite! 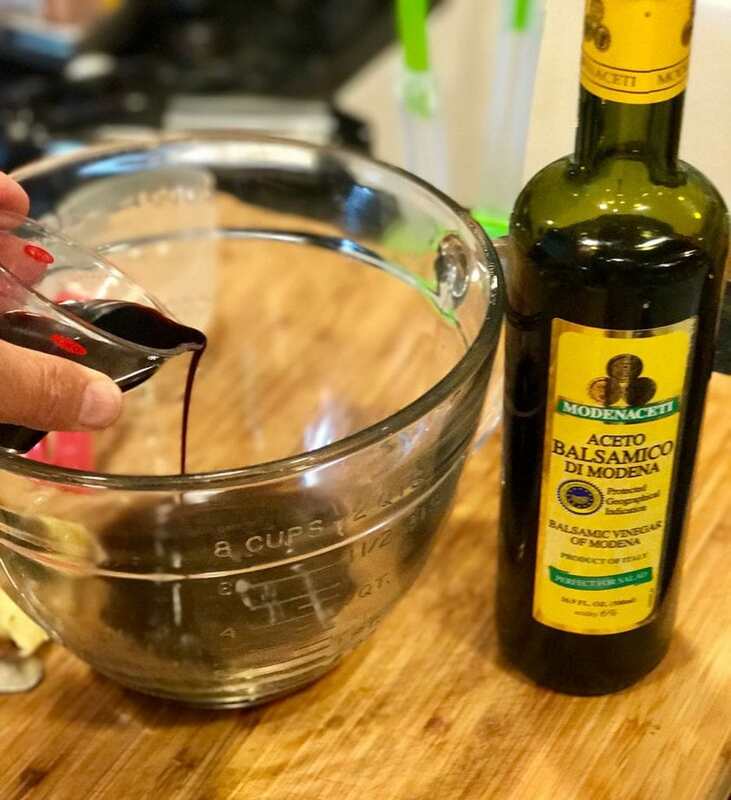 Next pour in your vinegar, I used balsamic, but you could use red wine, white wine, apple cider (a yummy fall taste) or other vinegar of your choice. 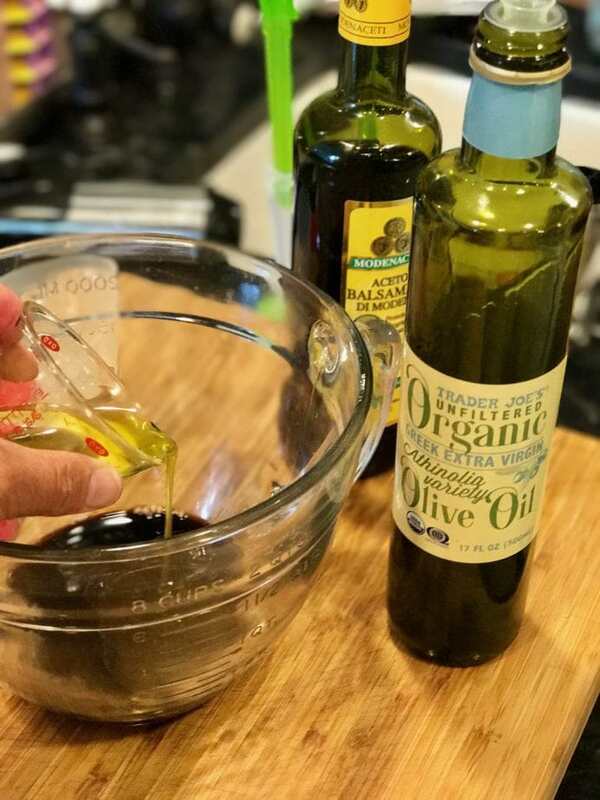 And then your 2 Tablespoons of oil, I used olive, but you can use vegetable, avocado, grapeseed, your favorite oil. Next add your garlic and ginger, Betty’s original recipe calls for garlic powder and ground ginger, since I had both fresh on hand I used those instead. 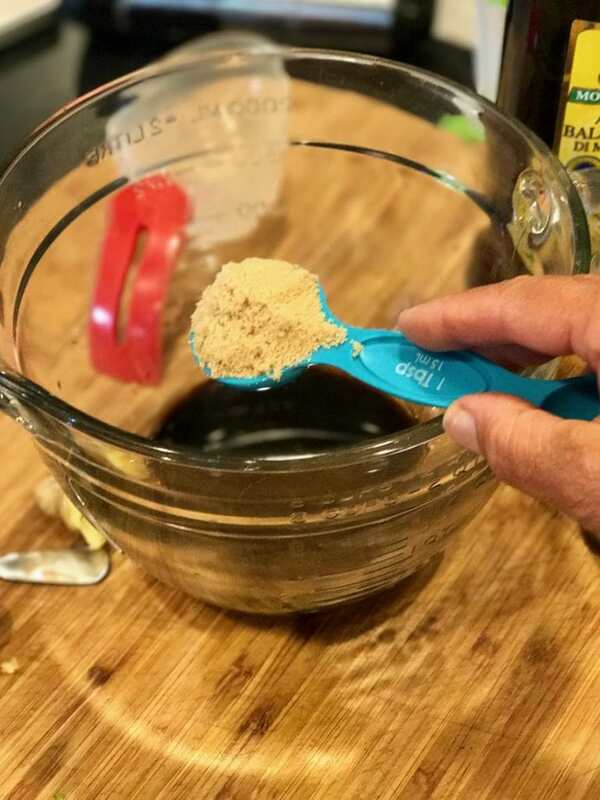 Grating my ginger directly into the bowl, I love my microplane, I use it all the time! Mix it well with a whisk and pour into baggie with a pork tenderloin. Don’t forget to mark your baggie. Place in freezer, flat until frozen. When ready to barbecue, remove from freezer, preferably overnight in the fridge. Or on the counter for a couple hours until thawed, then put in fridge until ready to BBQ. Heat BBQ to medium-high heat and brush some oil on the grill. Place on your tenderloin, close the cover and grill about 10 minutes per side, for a total of about 25-30 minutes. Most tenderloins are three sided, kind of triangular shaped, if your’s isn’t quite cut that way, just increase time per side. Brush with extra marinade or pour some over after each turn. Remove from heat and tent loosely with aluminum foil for 5 minutes to allow meat to rest and juices to go back into the meat. Serve with broccoli and steamed rice for a delicious and easy weeknight or weekend meal. 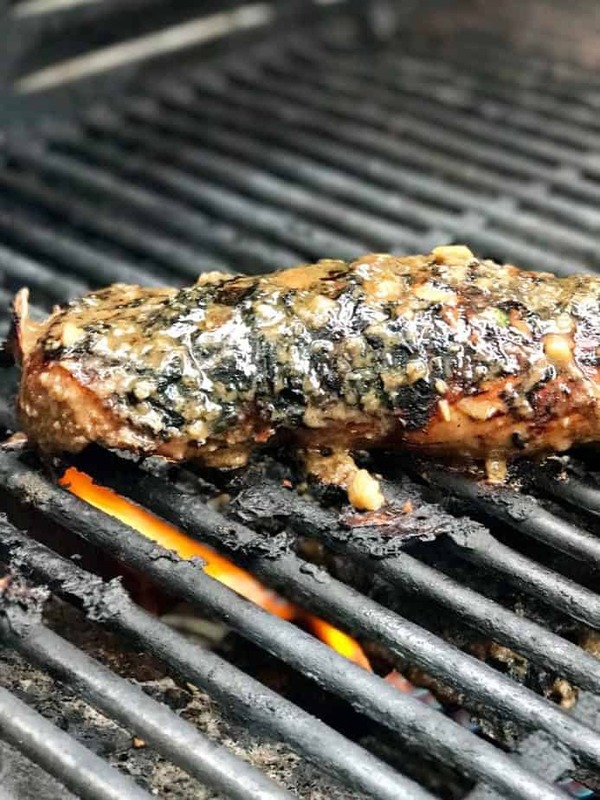 Enjoy this marinade, give these other recipes a try! Tender, tangy, pork marinade; super easy to put together for a quick weeknight meal. Freeze for an ready made meal. 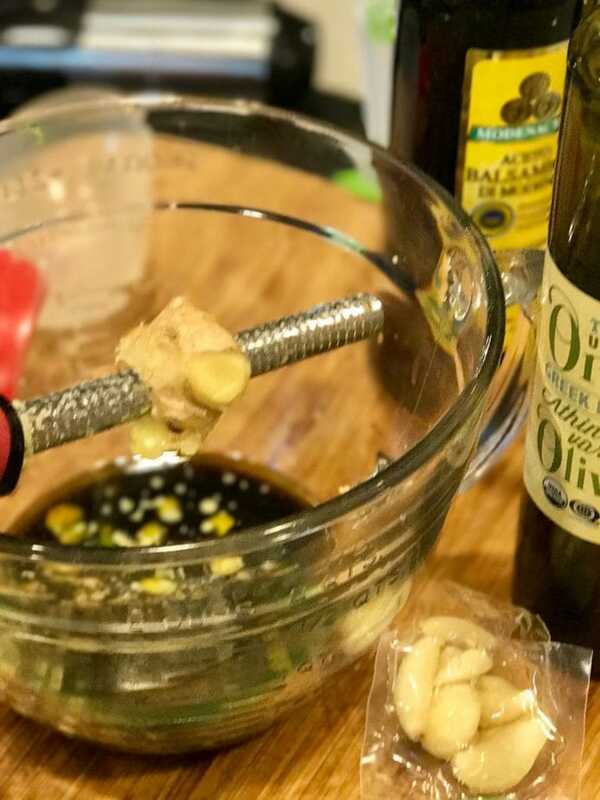 Mix all ingredients together using a whisk until thoroughly mixed. Place pork tenderloin into gallon sized freezer bag (if freezing) squeeze our air, seal tightly and lay flat in freezer. Or, if making right away place in glass dish with marinade, turning occasionally. Refrigerate for several hours. If frozen, when ready to barbecue, remove from freezer and thaw in fridge overnight. Or on counter for several hours, turning occasionally. Heat BBQ on medium-high, brush grill with oil. Remove pork from marinade, placing pork onto hot preheated grill. Cover and cook on each side for 10-15 minutes, most tenderloins are triangular, so cook 10 minutes per side, if only two sided, grill for 15 minute per side. Baste with extra marinade, discard any leftover, or simmer left over marinade for 10 minutes on stovetop and pour over cooked meat. Remove from grill after 25-30 minutes and tent loosely with aluminum foil allowing to rest for 5 minutes. Slice into medallions, pour any juices over sliced meat and serve immediately. Pair with steamed broccoli and steamed white or brown rice. 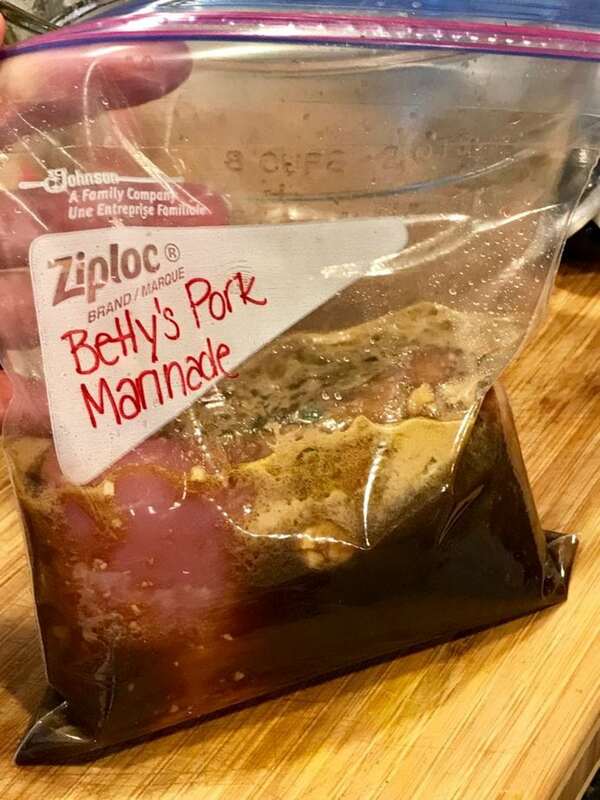 Copyright 2017 | This recipe for Betty’s Pork Marinade was featured first on The Fresh Cooky.